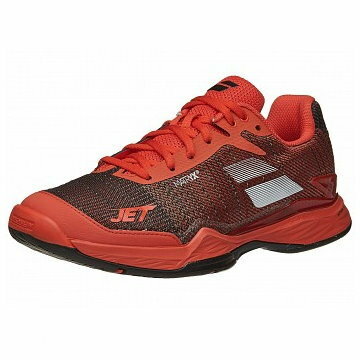 Babolat Jet March II All Court Blue Men's Shoes - Tennis Town | 網球購物城 - Tennis Racquets, Equipment, Strings, Shoes & Bag. 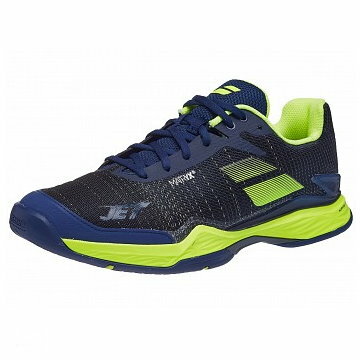 With Matryx® textile developments (zone-woven ultra-durable Kevlar® and polyamide fibers), the Matryx® 2.0 fabric that forms the Jet Mach II upper has been reinforced with 4 rigid fiber straps (“Stability Arch” system). 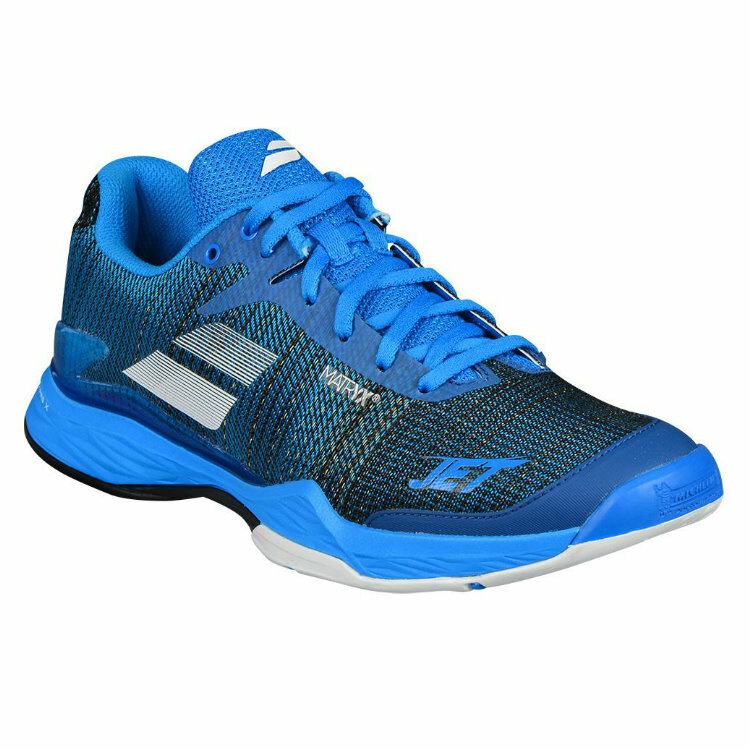 Result: even more stability and support A new shock absorption system : In tennis, players feet hit the ground with a specific angle, so Babolat have developed a heel cushioning to match the specificity of the game. KPRS-X is an EVA pad made of high quality foam with a specific shape and place to better protect the heel and the foot. Michelin sole specific stud’s are built to optimize the stability of the foot for lateral movements made with the specific Michelin compound.